When it comes to getting paid, nonpaying clients can test your patience. They can even ruin your day. Paying money is a game to debtors. You have to play to win. But how can you win when they have the money and seem to hold the advantage? First, it’s important to know that you can fix this problem and correct the habits of lackadaisical clients. Some business owns feel like it’s a vicious cycle with no way out. In this article, you will hear about Market Billing. The Market Billing Method is used to get paid on time, and keep clients happy. Your ability to effectively persuade debtors will determine your annual income. In the same way marketing is effective and proven, Market Billing will entice payment from nonpayers, enhance your accounts receivable process and reduce your past due accounts. Market Billing works! So what needs to be done? First you must be willing to change your habits. “Progress is impossible without change and those who cannot change their minds cannot change anything.” ~ George Bernard Shaw. Our human nature can keep us stuck in a pattern. Even smart business owners can fall victim to the grip of skivers. Only you can break free and experience a new path to greater wealth and greater success. You have to be ready to increase and take action to do so. Those two elements (willingness and action) determine real progress that can jump-start you to a new understanding. Are you ready? Then where do you look and who can you trust? CJM Billing Solutions, Inc. is family owned and operated. We have a unique, effective approach to revenue cycle billing management and have been dealing with slow revenue turnaround since 1989. We love our business and enjoy seeing companies implement methods that work. Our easy to use Market Billing System has revolutionized the accounts receivable process and increased cash flow. We view debtors as they are; average, every-day people who are hardwired to play games when it comes to paying. Every company has to deal with these types in some way. CJM Billing Solutions, Inc. causes dramatic improvement in revenue and you can too. Don’t wait to realize your full potential and greater financial rewards. Learn Market Billing techniques that work! Get paid faster and keep more clients. Our proven Revenue Maximizing System is easy and available to you. 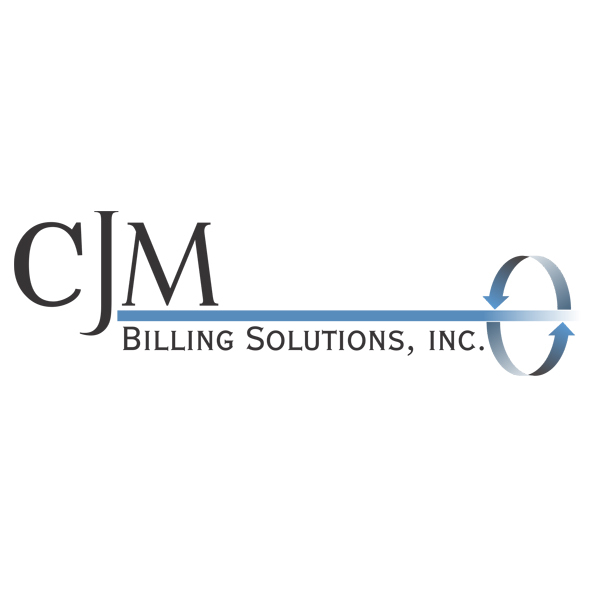 CJM Billing Solutions, Inc. We are the Accounts Receivable Consultants and Billing Experts. Enjoy greater success. Contact us now. (845)496-0772. We are ready to help. Christopher Mangan is the President of CJM Billing Solutions Inc. and author of the Top 10 Billing Secrets. An easy to use business billing guide for start-up companies. Available in CD format on Amazon or download directly from our eBook website top10billingsecrets.com. Debtors can ruin your day. Their ability to manipulate and avoid paying limits your profits and has a negative impact on revenue. You can fix this problem. You can get paid on time, and keep clients happy. Your ability to effectively persuade debtors to pay determines your annual income. While marketing is effective and proven, Market Billing will entice payment from non-payers. It works! So what needs to be done? First you must change your habits. “Progress is impossible without change and those who cannot change their minds cannot change anything.” ~ George Bernard Shaw. Human nature can keep us stuck in a pattern. 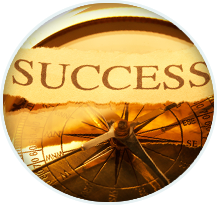 Only you can break free and experience a new path to greater wealth and greater success. You have to be willing to increase and take action to do so. Those two elements (willingness and action) determine real progress that can jump-start a new understanding and you can begin immediately. But where do you look and who can you trust? CJM Billing Solutions, Inc. is family owned and operated. We have an effective approach to revenue cycle billing management and have been dealing with non-paying clients since 1989. We love our business and enjoy seeing companies implement methods that work. We view debtors as they are; average, every-day people who are hard-wired to play games when it comes to paying. Every company has to deal with these types in some way. Companies who work with CJM Billing Solutions, Inc. experience dramatic improvement in revenue and you can too. Don’t wait to realize your full potential and greater financial rewards. Learn Market Billing techniques that work! Get paid faster and keep more clients. Our proven Revenue Maximizing System is easy and available to you. CJM Billing Solutions, Inc. We are the Accounts Receivable Consultants and Billing Experts. Christopher Mangan is the President of CJM Billing Solutions Inc. and author of the Top 10 Billing Secrets. An easy to use business billing guide for start-up companies. Some people feel the urge to pay their bills early while others are happy to pay on time. Then you have, the slackers. These dubious deadbeats cost you time and money. They are hard-wired to avoid paying. What’s more, if your billing process has any gaps, they will exploit them. Accounts receivable gaps can also create non-paying clients and when people string you along, your bottom line suffers the consequences. The frustration of dealing with lackadaisical clients can leave you feeling a bit paralyzed and even angry. Business owners need to equip themselves with the tools that will change the debtor’s habits and make clients happy to pay. Even when managing directors know they have accounts receivable problems, they won’t admit it and refuse to get expert advice. They believe everything has been done and the debtor is to blame. This is a common misconception because the reality is, you can change debtor’s habits. The first step is to change your own habits. The next step is finding the right help. So where do you look and who can you trust? CJM Billing Solutions, Inc. is family owned and operated. We have an effective approach to revenue cycle billing management and have been dealing with non-paying clients since 1989. Your clients are just people who play games when it comes to paying. Every company that has worked with CJM Billing Solutions, Inc. has seen dramatic improvement in revenue. Don’t wait to experience your full potential and the monetary reward. Learn the techniques that work! Get paid faster and keep more clients. Wait no longer to get paid faster. Our proven Revenue Maximizing System is easy and available to you. CJM Billing Solutions, Inc. We are the Accounts Receivable Consultants and Billing Experts. Enjoy greater success. Contact us now. (845)496-0772. 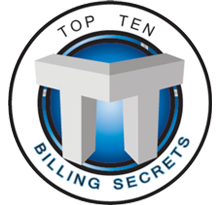 Christopher Mangan is the author of the Top 10 Billing Secrets. An easy to use business billing guide for start-up companies. When we assist debtors, we actually stimulate our accounts receivable, collect payments faster and keep clients longer. The way we communicate to these clients will cause them to pay. Their ability to pay is virtually never attached to their willingness. In other words, they have the money, so how do you get them to pay you? There are different methods for different people. Identifying the personality traits is simple unless you don’t really know where to start. We have seen companies struggle for years dealing with these types of clients and we have learned the secrets to changing their habits and changing their minds. These methods are guaranteed to bring money in the door faster and ease the stress of collecting money. Most debtors are just lazy and complacent. Their attitude can be changed and they can become some of your best clients with a willingness to make their payment on-time every month. Why continue to wait for payments? The techniques are easy and available to you. CJM Billing Solutions, Inc. Family owned and operated since 1989. Enjoy greater success starting today! Accounts Receivable Consultants and Billing Experts. (845)496-0772. Every customer makes a conscience decision about how, when, and if they will pay you. Your process must appeal to them in a way that promotes the full payment on time. Your ability to use multiple billing models, which are easy to implement into your current procedure, will cause even the most seasoned debtor to stay current. Your process has a direct influence on revenue and cash-flow. Gaps that allow debtors to exploit weaknesses in the revenue stream cause billions of dollars in un-collectable funds each year. A major fundamental dilemma facing many businesses is their refusal to master effective billing cycle management. While tangible revenue loss can be seen on a spreadsheet, the subtle loss of time and stress pilfers your bottom line and goes mostly un-noticed. Both are causing losses every day that are otherwise avoidable. Finally, effective marketing can sell virtually anything. Will clients pay you or buy the newest gadget or a new car? These are real thoughts going through the consumer’s mind. Selling customer’s to-pay their bill is vital and the key to maximum cash flow. So what are you going to do? Why allow continued loss when there is practical, affordable help? CJM Billing, we are the leading receivables consultants in New York State and experts in Revenue Cycle Management. Bring your past due below 1% while saving time and reducing stress. The choice is yours. Do nothing, or do better? Business as usual must be eliminated. Christopher Mangan is the President of CJM Billing Solutions, Inc. and has over 25 years’ experience working with companies such as American Express and CitiBank as well as small businesses. His expertise involves Accounts Receivable, Billing and Collections. Want greater revenue and a billing system that is effective? CJM billing will quickly implement plans for faster payments, less hassle, and greater profits. Christopher is also the author of the Top 10 Billing Secrets, a comprehensive eBook written specifically to address the challenges of non-paying clients. Look at your past due balance sheet. Look at the amount of delinquent accounts and how much money is owed to you. Now take the total amount and reduce it by 80%. That’s what I do for my clients. After working in senior management for companies such as American Express and Citibank, I now work directly with small businesses. My specialty is Cash-Flow. I am the owner of CJM Billing Solutions, Inc. the premier accounts receivable consulting firm in New York State. I create and repair billing offices for small business as well as fortune 500 companies. The most difficult part of my job is your willingness to really look at your delinquent accounts and admit that you want to do better. You are experts at selling your product or service. I am an expert at keeping past due accounts below 1%. You can do both. If you take a moment and pull up your delinquent accounts, you will see that you are losing money, time and working harder for what is owed to you. Want to keep customers satisfied and paying on time? Want to stay out of litigation? If you answered yes to any of these questions, my firm is the solution. The companies who work with me have seen a remarkable improvement in payment turn-around and a serious reduction in their delinquent accounts. It’s simple, but the choice is yours. Bring money in the door faster with less hassle. It’s immediate and economical. Finally, I have such a passion for stopping debtors from taking advantage that I even wrote a book on the subject called, the Top 10 Billing Secrets. Stop allowing people to play games with your money. Get better at getting paid. I guarantee great results and a more enjoyable cash flow experience for you and your employees. Your business is worth it! Some customers have a continual pattern of not paying. It’s important to professionally and effectively break that pattern without losing their business. You can effectively combat every excuse with a proven response that generates immediate payments. Negative interaction with non-paying clients never results in a payment and it makes your business more difficult. Past due accounts are the single biggest problem when it comes to cash flow. However, knowing effective ways to stop these debtors is the key to a better business. CJM Billing Consultants is an effective, easy and affordable answer to the progress that you desire in your revenue stream. Faster-Easier-Better. CJM Billing! It’s no mystery why we venture to go into business for ourselves… We want to make customers happy. Yea right! Let’s be honest; we are in business to be successful and make money. Income is the number one motivation for business ownership and if we happen to offer a good product or service, our chances for success increase exponentially. It’s safe to say that getting paid is one of the most exciting aspects of owning a business and we work hard to make the most of our bottom line and keep profits flowing. If this is true, why do we allow a small percentage of customers to play games when it comes to paying? Why are some clients so difficult? For one, they usually get away with it. Some customers are so good at playing games that even the most experienced business owners get worn down from chasing money. Difficult people challenge our continued efforts to get paid and the confrontation can be extremely frustrating. Non-paying clients exist in virtually every business and they are skilled at the art of not paying and why not? The money is in their pocket and all you’ve got is the stress of trying to collect. The good news is that every non-paying customer can be brought into a habit of payment. Moreover, you can play their game and win. Game on! Once you know your opponent you can implement strategies to overcome the obstacles that delay payment. Great strategies can stop professional debtors even when they try to adapt and continue their charade. There is always a way through their apathy and once you learn the tricks, it makes for a better more enjoyable business now and all future business as well. Now that you have acknowledged that there are some ongoing challenges, let’s look at some solutions. The first thing you must do is look at your current process. Are there weaknesses that allow customers to take advantage? It’s so important that you take some time to examine your own process. After you review your system, take some time to evaluate some individual cases (Prior non-payers) and investigate what happened to determine why they did not pay. While each case can be significantly different, many underlining issues can be traced to one or more areas that customers use to exploit your billing and collection techniques. Obviously, these areas, once identified must be corrected immediately. Your company may be the type of business where you are forced to wait for payment. In other words, the client is waiting to get paid so they have to make you wait. Some clients know they have you over a barrel and abuse the system. They make you wait far beyond the reasonable time and earn interest on your money. They are intentionally hamstringing you for payment. This challenge is created by habit of historical process. For example, you don’t want to push too hard for fear of losing the client, so they take advantage pushing the envelope a little further each time. You may be under the assumption there’s nothing you can do about it because that’s how it’s been for years. Believe it or not, you can set yourself up so you are not abused, but why do so many continue to follow this frustrating pattern? This may have plagued you for years and you have thought of everything. Outside advice may be your biggest opportunity to finally change this. There are two choices, do something about or allow it to continue. The documents you use and your approach and strategies determine the speed in which you get paid. Recently we worked with a company with a very high deficiency in their accounts receivable. After investigating the reason for this default rate, we redesigned the invoices, by changing the statement “Due upon Receipt” to include a specific date such as “Payment of $1,370.00 Due on June 2nd.” We also purchased a box of bright yellow return envelopes to mail out with the invoice. Then we changed the format of the invoice to look more like a payment reminder than an invoice. Research has shown that people respond better to a letter form than an invoice. It’s more personal. Changing the invoice caused his default receivables to decrease exponentially. Then we looked at his process from first meeting of each client. We implemented ways that improved contact to the customer, created incentives for faster payments and payments options that made it easier to pay their bill. This caused another increase in revenue. Finally, getting paid does not have to be frustrating but many choose to believe they can do nothing about it and they keep making the same mistakes expecting different results. Why do we allow some customers to dictate when and how they will pay? It’s simple. We need to train them to pay on time. Christopher Mangan is the President of CJM Billing Solution, Inc. and the author of the Top 10 Billing Secrets. Past Due Accounts, Who’s to Blame? What causes customers to pay? Why do some pay late every month? The answers can be found in your own billing and collections process. Too many business owners reject the notion that their process for billing and collections could be a problem. So often ego gets in the way of success and it’s business as usual. Excuses and blame do nothing to fix the problem and they stifle opportunity for real growth. When we criticize the client or succumb to the idea that it’s the way things work in “my” industry. They stop working on methods to improve the very process that dictates how fast and how often they get paid. I have even written a book on this very subject called The Top 10 Billing Secrets. How can business owners know if there is room for improvement? Just like you would go to a good contractor to fix your house, you go to billing consultants to find out what’s wrong with your billing and collections process. It’s that simple but so many great business owners miss it. If you are dealing with challenges that cause you to wait for payment, you can bet others have found a way through those people who play games and make you wait for payment. Let’s use a simple example such as return envelopes. Some companies still forgo sending return envelopes with the bill or invoice. That’s why you will get paid last. Customers tend to be lackadaisical and don’t want to get their own envelope, fill it out and hope they have the correct address; the fewer the steps the better. They want to place a stamp, insert a check and mail it. You may already use return envelopes, but there are several methods for getting paid that you may not be utilizing. I find it remarkable that some companies who expect timely payments are still not using many of the proven strategies that must be incorporated. Is your invoice set up to promote timely payment? I have seen some bizarre looking invoices that make customers dodge paying. Some clients need just a small reason to not pay. Another fact that you may already know is the longer a bill goes unpaid, the least likely you are of getting paid. When bills go 30, 60, 90 days past due, your chances of getting paid are greatly reduced. What about businesses that only accept cash? You are losing money. Even when they know they are losing money they don’t seem to want to listen or change and again, it’s business as usual. Are you kidding? How about the person making collection calls? Is it the right person? Maybe it’s you and you are not the right person for that job. How do you contact customers; phone, mail or text? Some methods are more effective than others. Why do so many business owners who are great at what they do have a hard time getting paid? They keep doing the same things expecting different results. Is it “business as usual” for you or will you work to improve your process for greater revenue and less frustration for non-paying customers? CJM Billing Solutions, Inc. Billing And Payments Billing Consultants. Getting paid is the second half of the business that must come first! Since 1989 we have provided in-house billing and collections strategies for small businesses as well as fortune 500 companies. There is a serious need for real solutions to customers who constantly pay late and make you wait for your money. There are a variety of reasons why some clients string you along for payment and these people need to be trained to pay. How many clients owe you money right now? And what about those you have to chase every month? Chasing people for money can be exhausting and it’s a hassle that needs to be corrected immediately. You can create a habit of payment in all of your customers and get paid faster. The way you present your operation from the first meeting and throughout the business relationship-which includes billing and collecting payments-greatly determines your rate of success. We implement proven billing and collection methods based on studies that overcome payment problems and help businesses experience greater cash flow. While there is no “one size fits all” approach to this process, there are many fundamental laws that remain unchanged. For example, the longer an account remains unpaid the less chance you have of getting paid. Percentage of collectability decreases 30 days past due and becomes even more un-collectable at 60 and 90 days and so on. There are also laws that cause customers to pay. The techniques you use to pursue your money and communicate that payment is “due now” are vital. This is the 21st century and you need 21st century methods to get paid. Furthermore, you don’t have to worry about losing clients when your approach is respectable but persistent. Good customers will respect great billing and difficult customers cannot escape the urge to pay. Too many business owners wait far too long to do get professional help and miss out on a great opportunity to really solve their challenges. Many business owners cannot seem to get out of their own way and become stifled and complacent. Don’t keep guessing why people don’t pay, look internally and find the reason. This dilemma is so common that thousands and tens of millions of dollars are lost each year. As mentioned in “Top 10 Billing Secrets”, over 25 billion dollars gets referred to collection agencies every year and more gets written off as bad debt. How much of that money was yours? Why do so many business owners refuse to endeavor on upgrading? It’s business as usual. If you’re one of the few who is going to make the decision to get help and improve, you’re on the right track. You want greater success. You want changes with real results and tangible progress and that’s exactly what CJM Billing Solutions does. This is an opportunity to focus on your billing process and make deliberate changes to create a habit of payment in your customers. Be an industry leader! Get energized about the smart choice you have made to pursue revenue excellence through The Top Ten Billing Secrets! 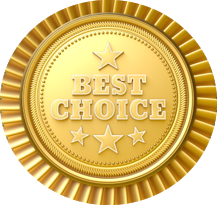 The best choice you can make today is to focus on your billing process. Experience greater rewards from a program that is proven. Identify gaps in the entire billing process and employ first-rate solutions to reduce loss and promote tangible growth. Top 10 Billing Secrets is a division of CJM Billing Solutions Incorporated.